Home / What is the difference between a 22KW and 2000KW Generator? 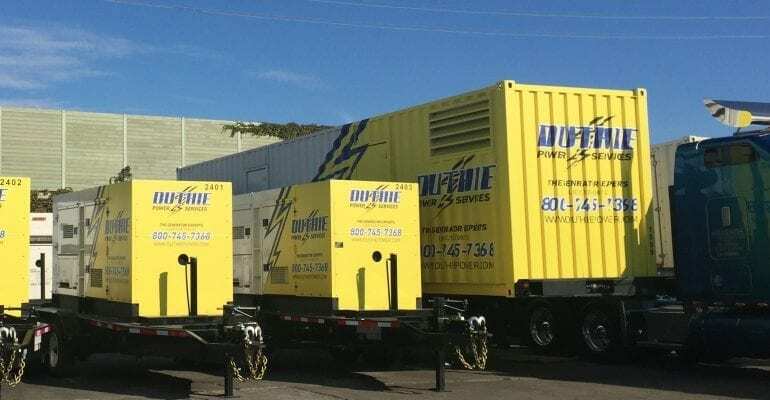 What is the difference between 22kW generators and 2000kW generators? A 22KW generator is a smaller piece of equipment that may be used at a small nursing home, small business or maybe a telecommunications site. They are really small as far as load capacity goes. That’s what we see out in the field. The 2000 KW (generator) is a large generator that you would see at facilities such as data centers, large hospitals or maybe multiple centers at a hospital. These generators usually are involved in the fire life safety of the of the building. They are large units and sometimes come in shipping cargo container type housings.